Whether a visitor or a resident in Vancouver, you will find a plethora of restaurants and dining options. Whatever the time of the day, there is always somewhere in Vancouver offering food, with many restaurants and dining establishments staying open during irregular hours to cater to those leaving the city's bars and nightclubs. 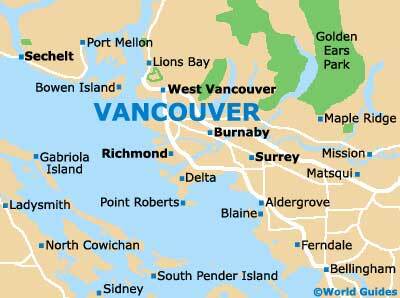 Here is some useful information about Vancouver's restaurants and dining scene. 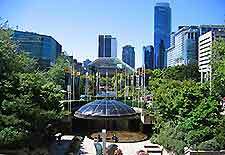 Vancouver is a major city with a large population made up of both resident and transient individuals. Such a large and varied selection of people creates a demand for a flexible restaurant and dining scene, capable of meeting the needs of all. In light of this, visitors to Vancouver will find eateries conforming to the norms of other big Canadian cities. Breakfast establishments in Vancouver open at around 07:00 until late morning, lunch restaurants from late morning until early afternoon and dinner restaurants from early evening until about 21:00 or 22:00. Vancouver is full of places where you can get a drink. Visitors should head for the downtown areas of Georgia and Granville streets, which are home to a good selection of bars. Venues in downtown Vancouver are varied and cover everything from comedy clubs to trendy nightclubs, most of which serve both wine and beer. Breakfast diners and restaurants can be found across the city of Vancouver and are varied in their style and presentation. Breakfast buffets are popular affairs, offering a staggering selection of food, often on an all-you-can-eat basis. Meanwhile, cheap and cheerful diners provide their regular brand of breakfast fare. Lunch options are plentiful in Vancouver and where you choose to eat will depends on your appetite and your budget. Popular fast-food restaurants are readily available, while for something a little more upmarket, the city of Vancouver has a wide range of international eateries, with French, Italian and Mexican restaurants, as well as a great selection of oriental establishments in Vancouver's Chinatown. For dinner in Vancouver, visitors are spoilt for choice, with a vast array of eateries and restaurants spread across the city. 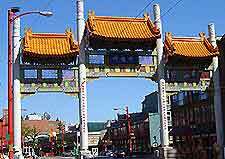 Canadian grill-style restaurants are popular dinner choices, while Vancouver's huge selection of international restaurants covers food from every continent. As a coastal city, seafood also features prominently in the city's cuisine and visitors will find plenty of restaurants in Vancouver serving tasty fish, lobster, crabs and other crustaceans.